See the Private Build Channel section of the Change Log for a list of other things that have been added/fixed in builds that are currently going through an earlier stage of testing. Thanks Rob, great, two out of 3. Please consider incorporating proxy support. I have to installation, one at the office and one in my home, in the office I see a product called LOCAL_USER(or something) but on my home computer it doesn't show up. Which one is wrong? I remember the way to delete "orphan files" icon in smart content. I tried to remove orphan files from "content DB maintenance" first. but it could not. next I serch mapped directory of content library, from " the orphan icon" r-click sub menu >"Show in content library mapped folder" in smart content. It show items, with the mapped directory of PC , in content library. but the file are already deleted, then I could not find the orphaned icon.
. Then I serch the orphan file icon in Content library>category. again. My request is, add one more r-click sub menu of each file icone, in smart content >file view. Curerntly there is go to "mapped folda" and "Product" but to delete orphan, I needed to go "grouped Category" in content library. or add Action to "remove orphan files" as new sub menu (r-click action) in smart content too. I know, in current beta , when r-clcik each catgory tab in Smart content, > Show in content-library, it show the "Category" in Content library. but Smart content view show items with parent category too. Content library only show items with assigned category. then hope to add option, "not show items in parent categories ". in smart content. to find assinged category in smart content easy. And new smart content "product view" is not so smart as same as before. The most important thing is keep relation about current selected file between "product" and "file" view. now I choose one mat.duf in "file" view from many mat assgined same category. then "explore product" , But new Smart content view show all mat files of the category in product. not keep current selection "highlited" , next I serch good pose in same explore prodcuct view. 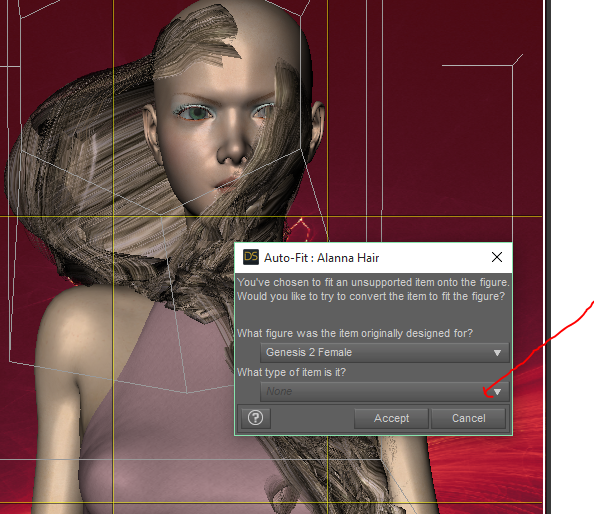 now I can not see the pose file, which Currently I serched in (explore) product view. "Product and category" (or expolore product view) and "File and category." in smart content. Thank you for sharing. Happy to read that there are a lot of very helpful features allready on the list. The in application store does not appear to be showing the PC+ member discount on items. Clicking on in application store promo images doesn't appear to do anything. There is a right click menu that also appears to do nothing. There is a huge block of empty space underneath the promo images. As a user I have no idea what the Buy button does. Is it an instant one click buy with my saved payment methods, do I have some sort of shopping cart that I then checkout later, what? The in application store needs some serious usability study. I am certainly baffled as to who the audience is for this. I'll discuss proxy support with the team, and then depending on the results of the discussion take it to executive management for their buy-off. I cannot commit one way or the other at this point. I will say that if it happens, it is not likely to be in 4.9—we are locked in terms of which features on the list will make it into 4.9 and which ones might make it if we still have time left. In 4.9 all user-facing files belong to at least one "product." The LOCAL_USER product is the catch-all for files that are not assigned [via metadata] to a formal product—without metadata, there is nothing reliable enough to create a formal relationship between files. It is certainly possible, if you do not have files in the database* that do not belong to a formal product, for the installation in your home to not have the LOCAL_USER product... yet. Once you do have user-facing files that do not belong to a formal product in the database*, the LOCAL_USER product should appear and contain said user-facing files. If this isn't happening, that is good to know and something we would have to investigate further. * A file can exist on disk but not be in the database if the application has not been made aware of the file. One way that the application becomes aware of a file is the installation/creation of metadata—be that through Install Manager, through importing metadata, or through use of the Content DB Editor. Another way that the application becomes aware of a file is by navigating to a folder within the Content Library pane that contains the file. Files are not automatically added to the database when a directory is first mapped because of the amount of time it can take to scan the disk and create the records has been a [legitmate] complaint in the past. This ties in with a comment I made in one of the other threads. I've come across this system of "browse store, buy one thing, want to buy something else, go back to step one" in other online stores. I will never use any store working in this fashion. Apart from the reported total inability to use any sort of multiple-purchase offer, this means I must buy more than one item as more than one separate purchase. Has everyone at DAZ forgotten — again — that people not living in the US must pay a bank fee for each separate foreign currency transaction? This design of store means I must pay extra for the "privilege" of buying something in it. I don't think so. Toss the whole system, and go back to the drawing board. This is junk — the old Poser Content Paradise store was better. I wrote a long post about this near the start of this thread. I really love the webstore (except for one or two things, like the ability to search figures only) but the in studio store is really quite tragic. No bundling items, and no way to view the current bundles and sales, which are the way I at least shop and I think many others do once they get used to the fact that there is always something on sale. The website is a good system. The in app one is too small to see anything, you can't zoom pictures, can't bundle can't see specials no real directed browsing. I sort of get the idea but it's not a feature I like at all. If you really want a thing that shows stuff in the same Smart Category that's open, just have those items that load open to the store page instead of the tiny one purchase window it does now. For reference, clicking buy takes you to payment info. You can't accidentally auto buy something. You can buy only one thing at a time? Are you kidding!?! Most of the sales on DAZ require you to have multiple items in your shopping cart in the same time to trigger! Tragic is a very fitting description of the in application store indeed. And that's why I consider it ore of a 'plus' for a commercial artist working to a deadline that needs 'something' now. I really don't see any value for this for the hobbyist market. Is Autofit not working (or working differently) in 4.9 or is it just me? Is it, though? Even as a commercial artist, I would never want to buy something from that tiny window over using the proper store to be able to see a real sized image, related addons, etc. It's not like opening a browser tab is a slow process these days, and then you have a search function, too. I ran into this on 4.8 - check your directory mapping (content library -> options -> content directory manager); your starter essentials need to be installed in the first mapped directory. Yeah, I mean I get the use of having relevant (in theory) things show up in Studio, but it makes a lot more sense to me to have those items just link to the store page rather than go to the trouble of implementing a separate store thing in the program that lacks all of the features that make the web store good. Then you can just concentrate on improving the web store even more instead. Which parts were Connect before? All of them, or just the essentials? Maybe it's something to do with the encryption clashing? You may well be right on the clashing but it seemed to affect everything I tried to load n 4.9 whether connect installed, dim or manual. I had this problem and it was because I had both the connect version and the DIM version installed at the same time.Uninstalling one of them fixes it. 1) I noticed that Products that start with "The" are in the T category, and "A/An" in the A category, instead of the Content Database ignoring A/An/The and going with the next word when alphabetizing. Is this the new format for alphabetizing or just something overlooked? Are these products set up with metadata, or just categorized? Do they show up in the Lost and Found category? It is a bug to be fixed in an upcoming release. Customer Support confirmed the issue to me. Do the items show up in Content Library > Poser Formats? I've installed 4.9 on my laptop - clean install, haven't used it on this computer before, but I can't see the default Iray shader presets that came with 4.8. I've installed the content, because I can see the other stuff showing up - just no Shader Preset folder. Can anyone point me in the right direction to these please? Or are they not included in the Beta for this version? The items show up in the content library > Poser Formats. Weird. Hmmm...If I take "The" out of the front of the name of the metadata/product, it imports fine. Tested this on other metadata not coming into the beta, though working perfectly in 4.8, and they don't seem to like metadata that starts with the word "The". Anybody else able to test and verify whether this is just my installation doing this?